Millions have walked the Camino de Santiago over the centuries and my daughter and I added two more this past July. It was her idea. My first love, as a father. That love came to life in 1992. She is brilliant. She is joy. She laughs like Julia Roberts and looks like her too, to me. This love of mine asked that I take her back to Spain (my first visit) and hike el Camino on a short schedule. I chose León as our start and Santiago as our end. It was magical. I found a new love with an old one. I found God again too. Not through the formality and small talk of Sunday morning rituals here in America, but through people, places, vistas, and simple pleasures of el Camino. Spain is my newest love. Buen Camino! We made it! I found a new love for myself too. I’m okay, flaws and all. Our four kids are loved and I can’t wait to share the Camino experience with the other three someday. Most of all, my Love, Ginny, was in my heart, as always, and on my mind on The Way. We must get there together while we are still very healthy and able. We just have to find the time, as everyone does. In short, my Camino was magical and I have a dozen or more left in me. First one at my oldest daughter’s request. Future Caminos on me with others who I love so much. I walk almost everyday and look for yellow arrows. It’s in me. I have a wonderful Love and we have four super kids. But, few parts of this world have impacted my life like the Camino experience of faith, people, food, vistas, and love. On this Valentine’s Day weekend, My Love and I are looking forward to a road trip to visit our youngest girl and her fella in her college town. Another road trip, in a couple of weeks, takes us west to our oldest girl and her fiancé. Both trips also include time with future in-laws, it seems. Our loves and family are growing this year too. Keep your loves growing too, and just accept when they appear out of the blue. That was what happened with my new love of Spain and her people last year. It was probably my last solo time with my oldest child. In the beginning, her comfort and happiness were my primary focus. And then, low and behold, my new love of the Camino, with her small villages, and, most of all, her people, pilgrims, and places emerged and gave me a renewed faith in our humanity and God. I really cannot capture in words what those few weeks in Spain, and away from American trappings, really meant to the new me and better me to come. Thanks be to God, the Camino, and to all who find and share the love. Thanks to those who care enough to read my latest thoughts on my blog, and any other space where a renewal of life-lived-better is shared. 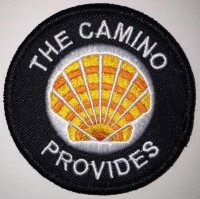 The Camino blogs, books, podcasts, and APOC on Facebook, are how I keep my Camino renewal going every day. Until I return to Spain, Godspeed and Ultreia! Check out Captain Brad’s blog and see his father-daughter adventures on the Camino. For the month of February, I’ll feature Camino love stories on this blog. Why? Because love is in the air! I certainly respect the premise of what happens on the Camino stays on the Camino. However, love is a splendid thing that should be celebrated. 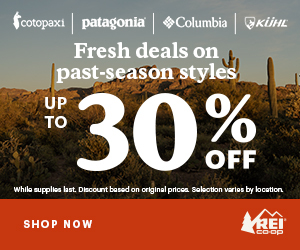 Has the Camino provided you with more than just a long walk? If you have a Camino love story to share, email me or use the form below. Photos and video links welcome. Great post! I particularly enjoyed this piece as it resonated with me: “I found God again too. Not through the formality and small talk of Sunday morning rituals here in America, but through people, places, vistas, and simple pleasures of el Camino.” As he draws you close to him, you will see him in all his creations.